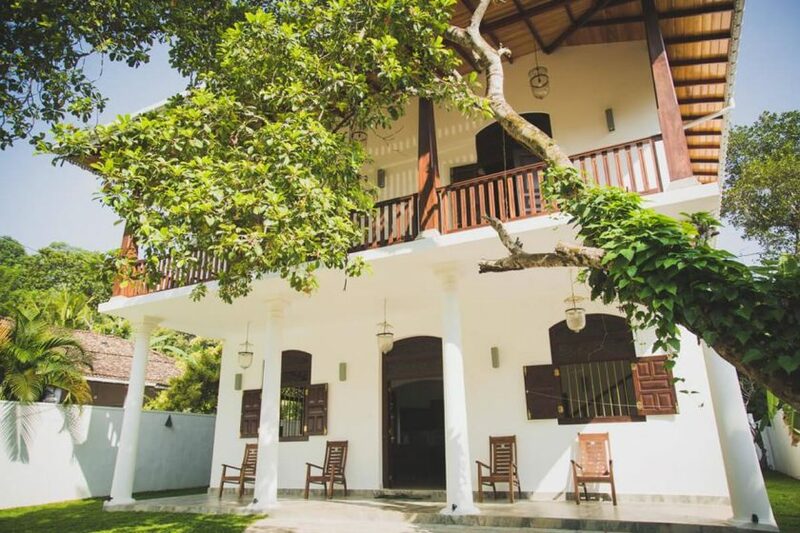 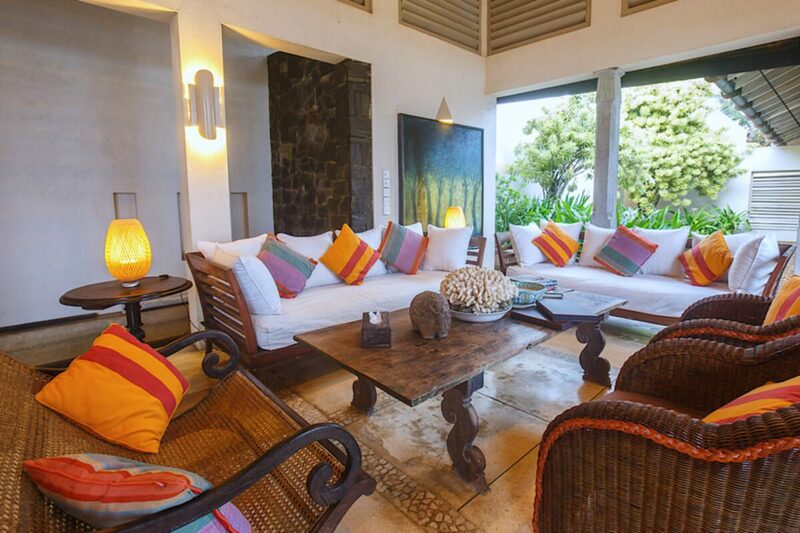 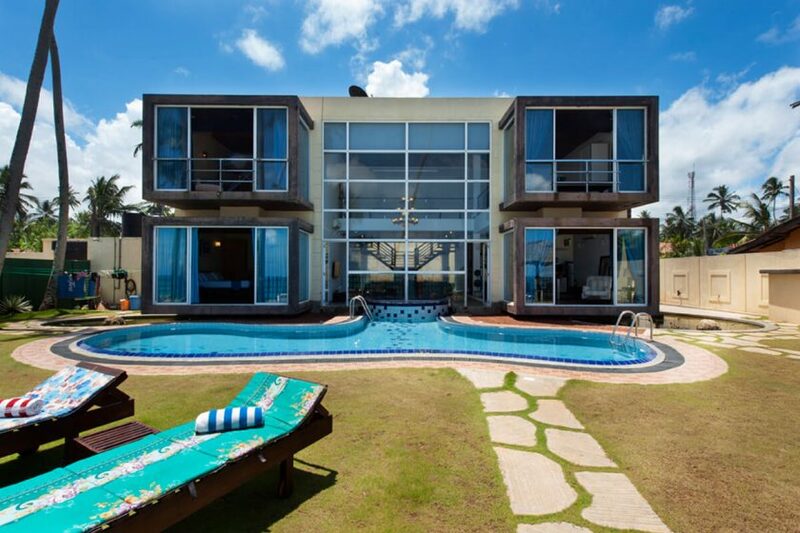 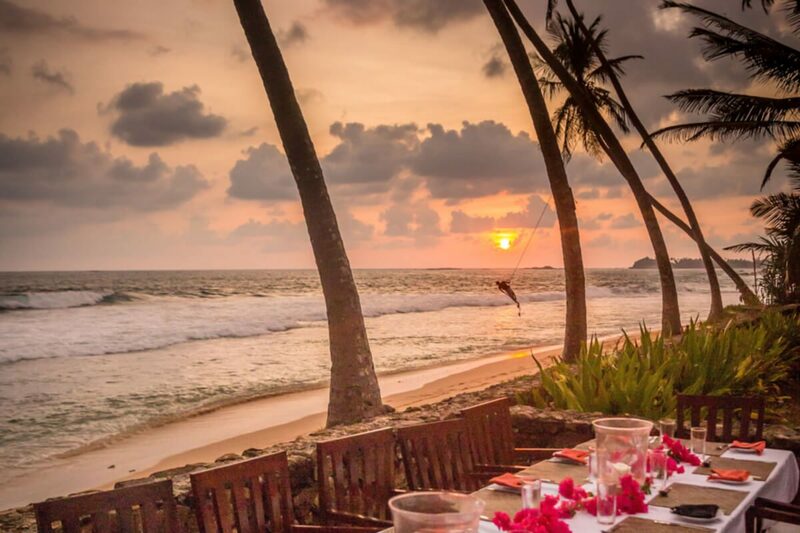 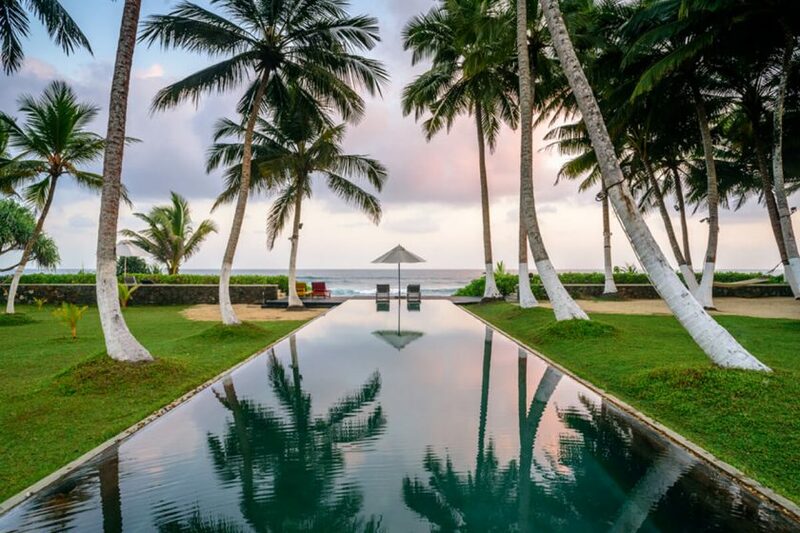 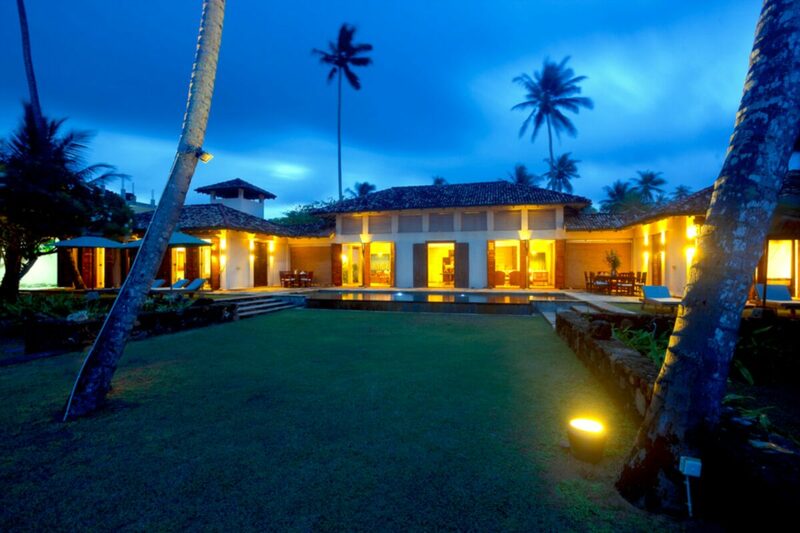 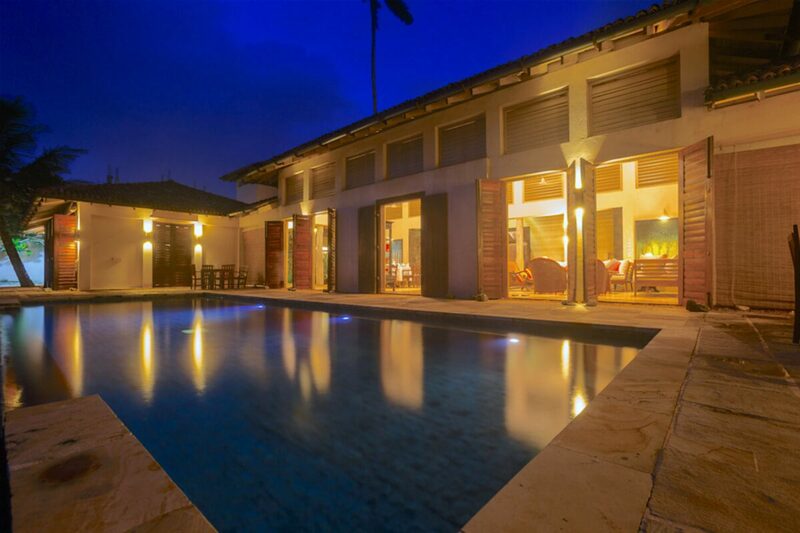 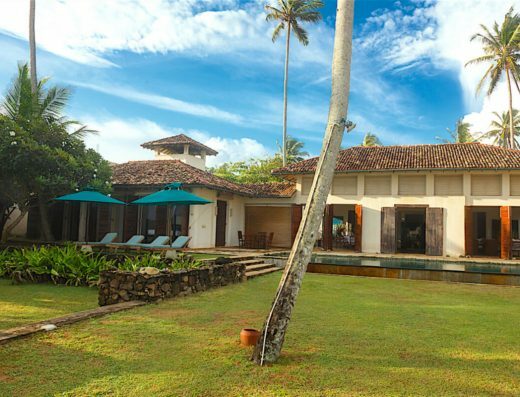 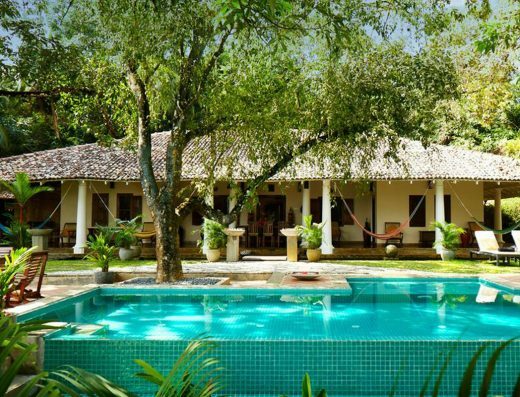 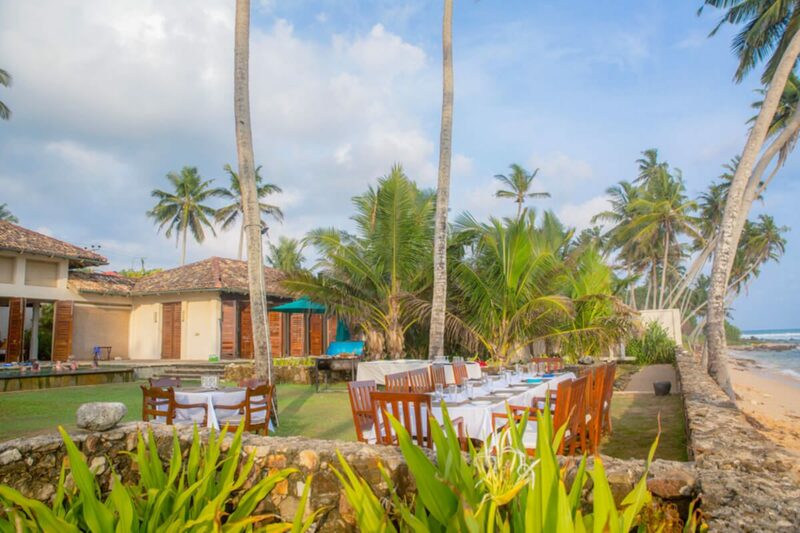 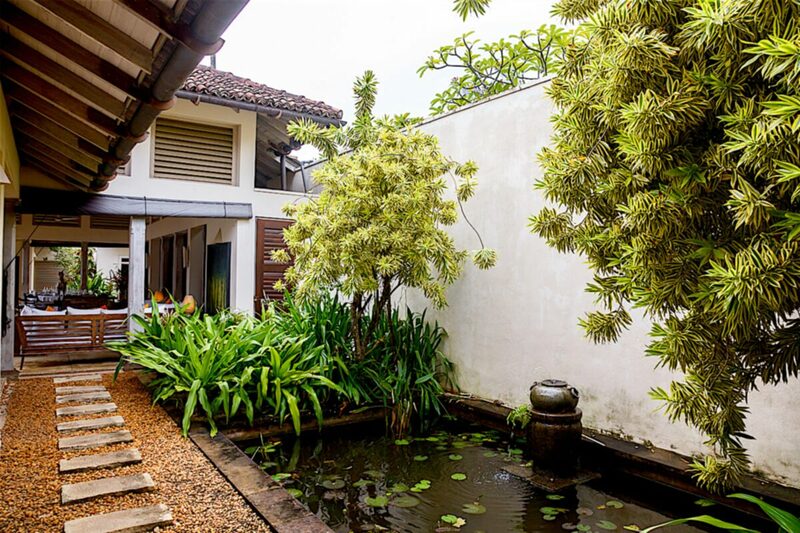 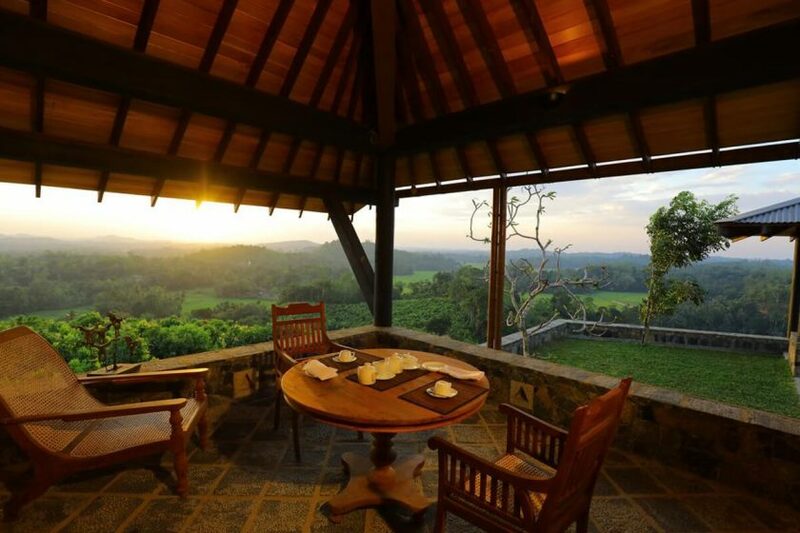 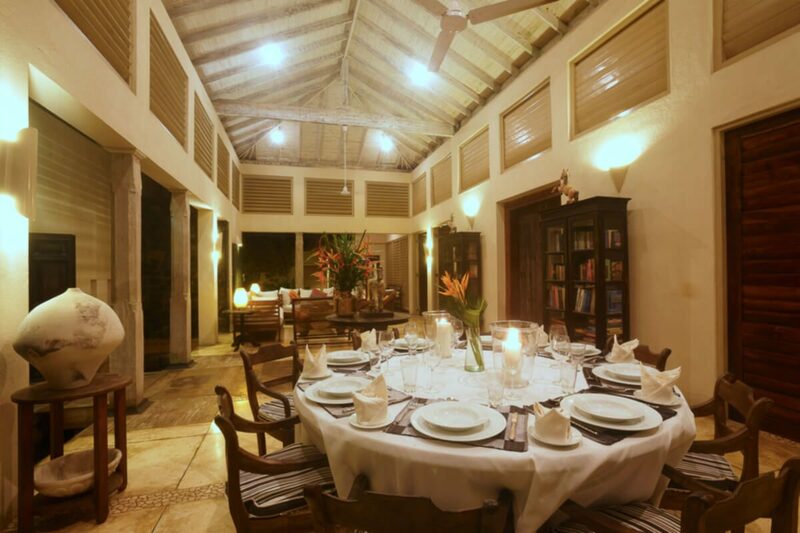 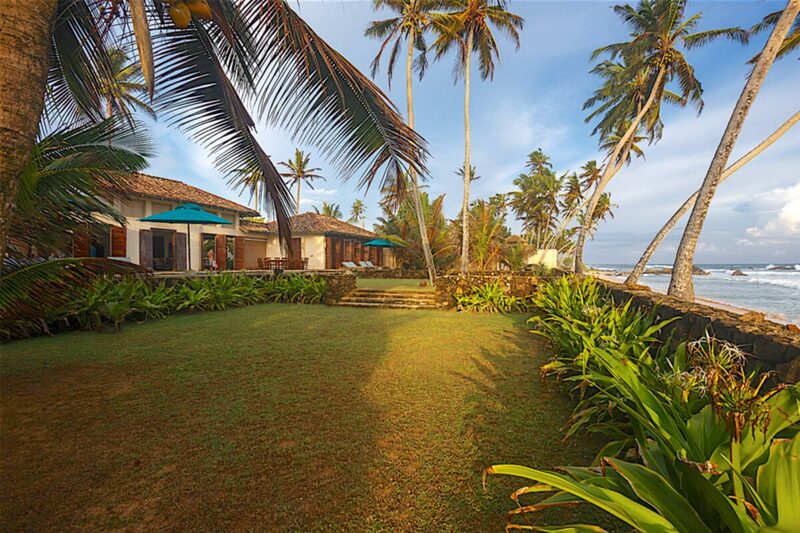 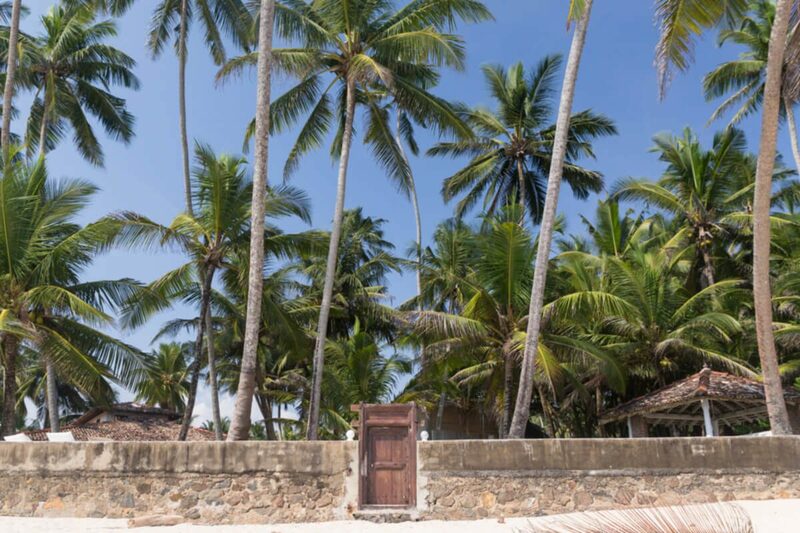 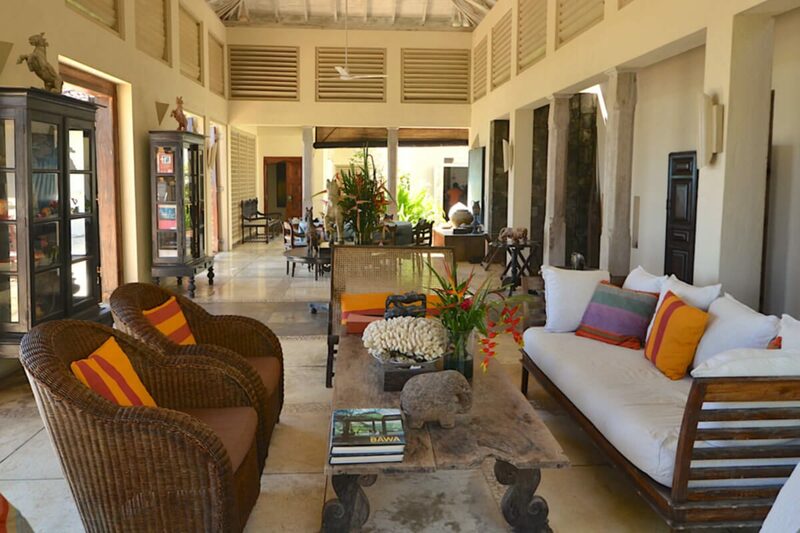 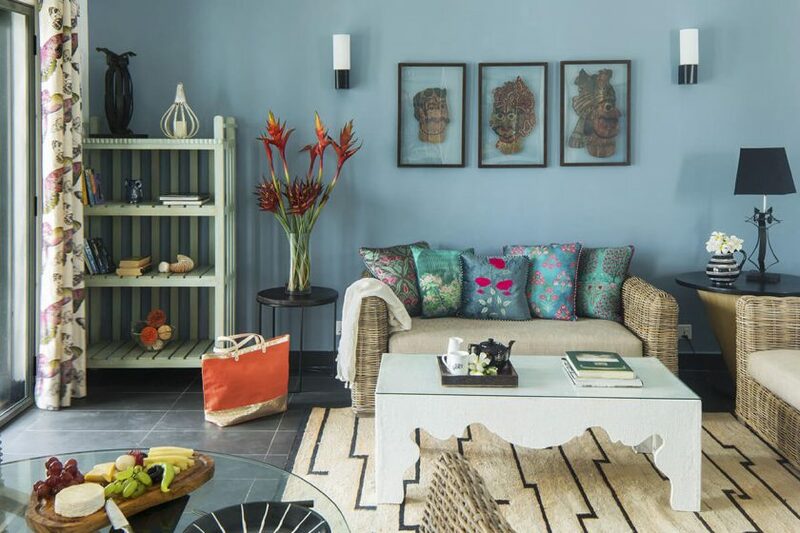 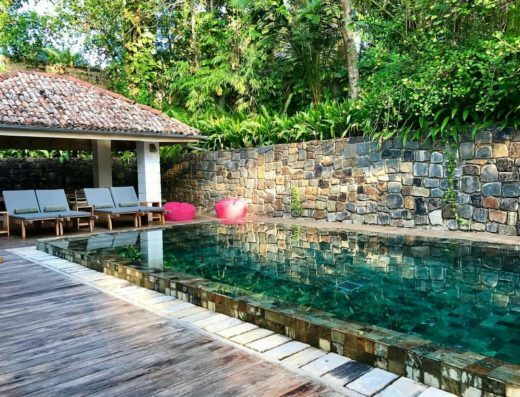 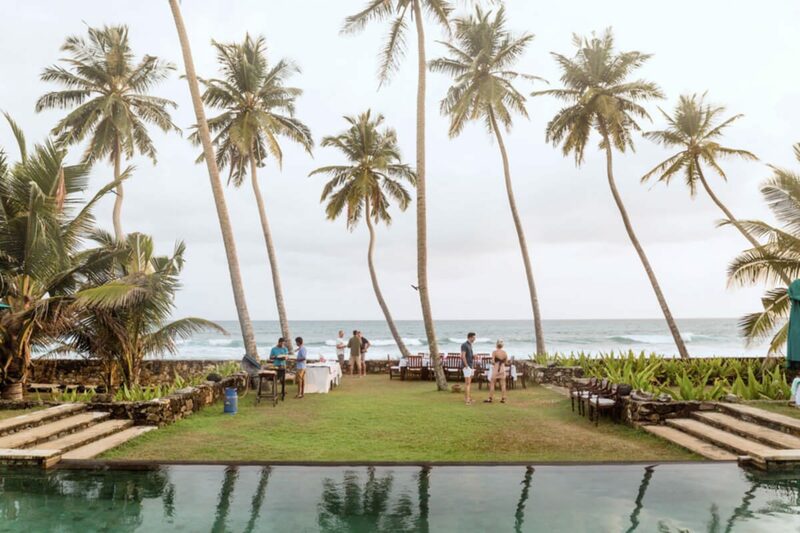 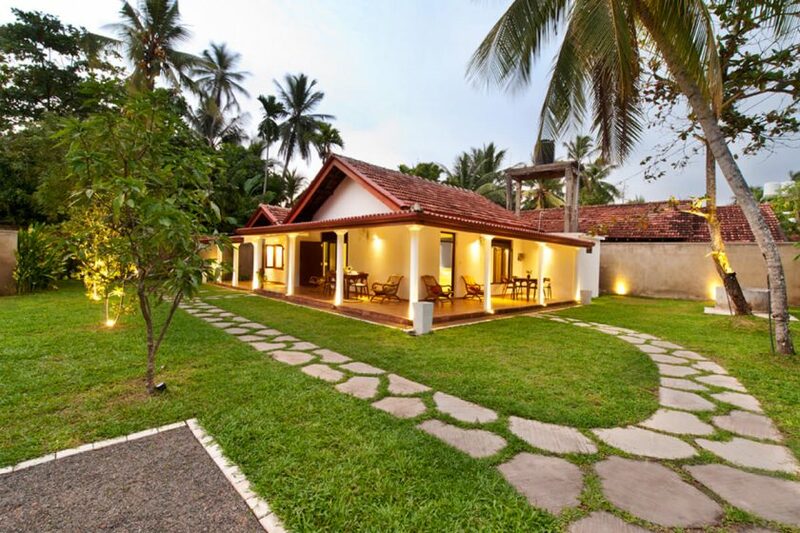 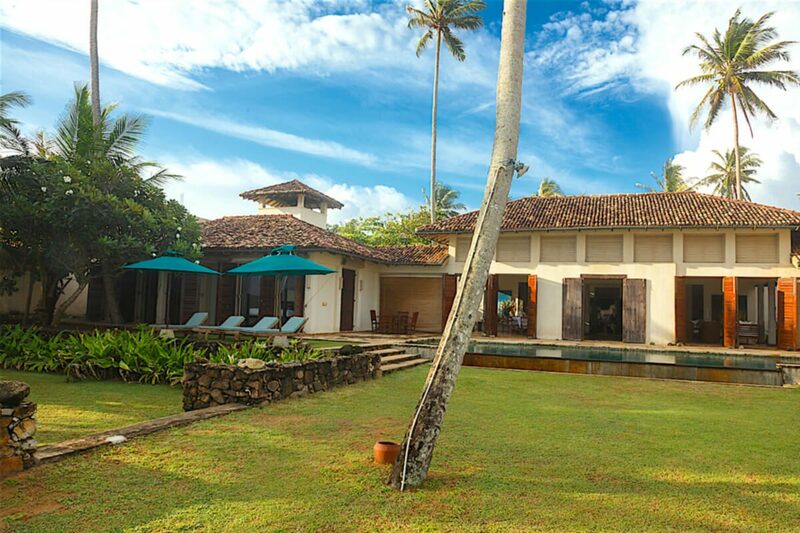 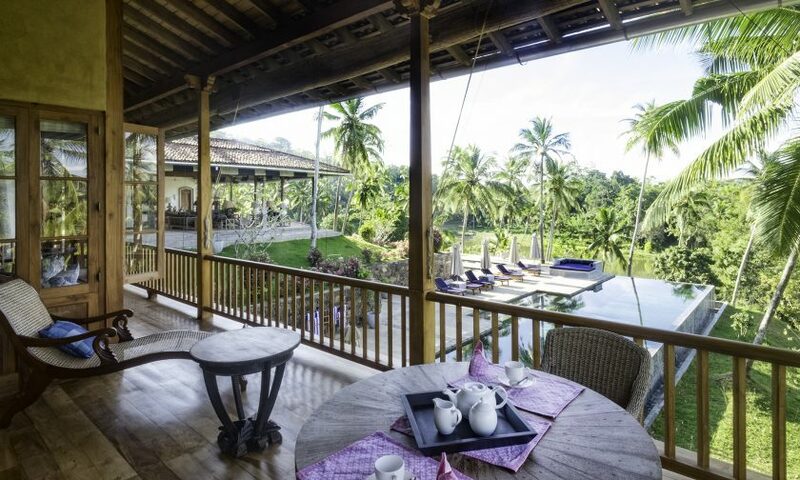 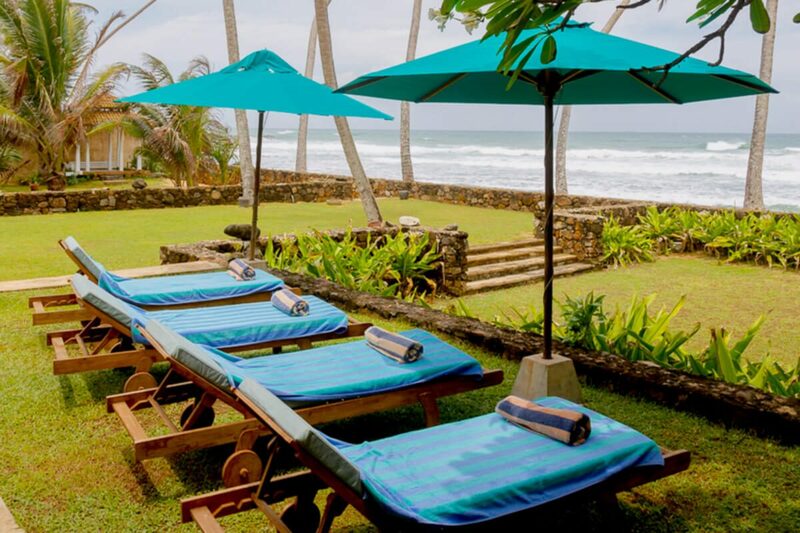 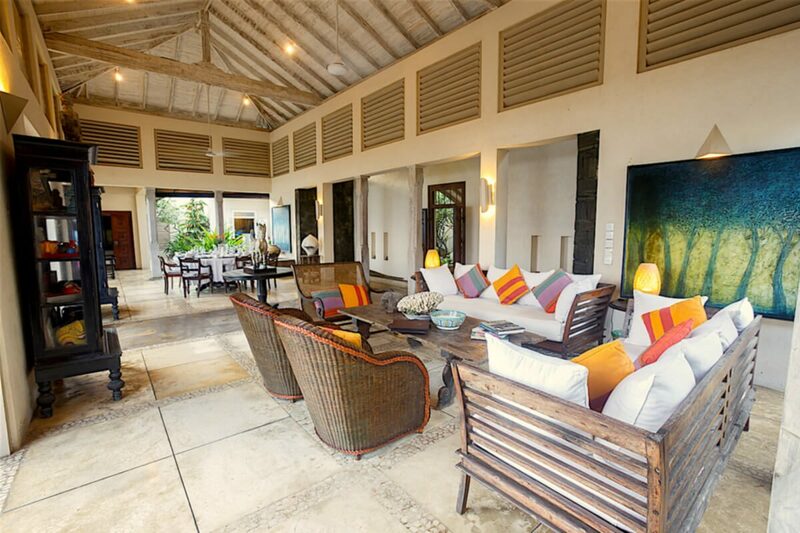 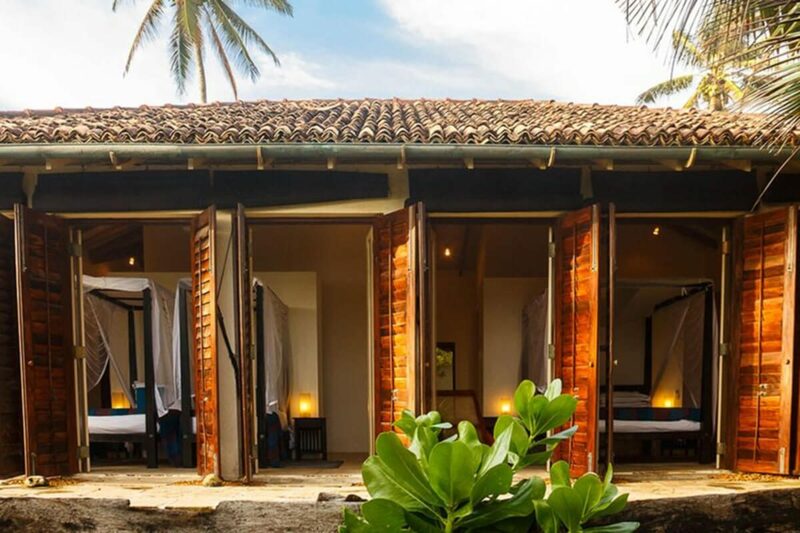 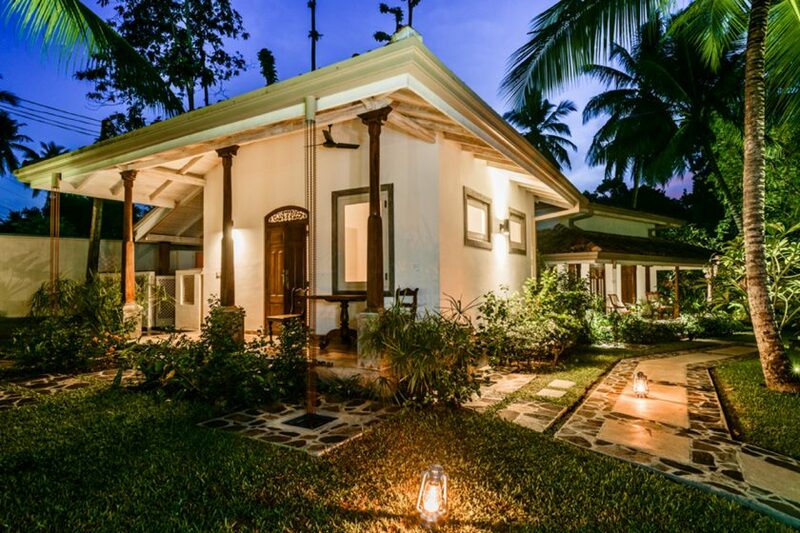 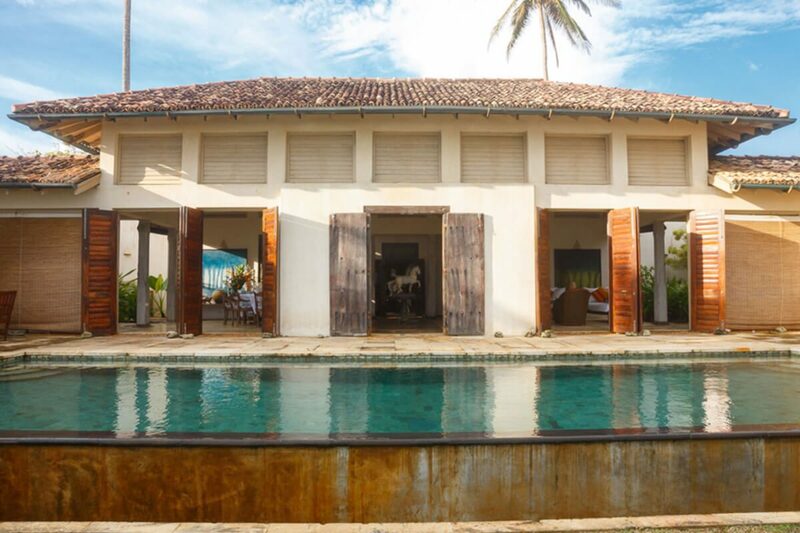 With its spectacular ocean side location just minutes from Galle, Ambalama Villa is one of the leading private luxury villas along Sri Lanka’s south coast. 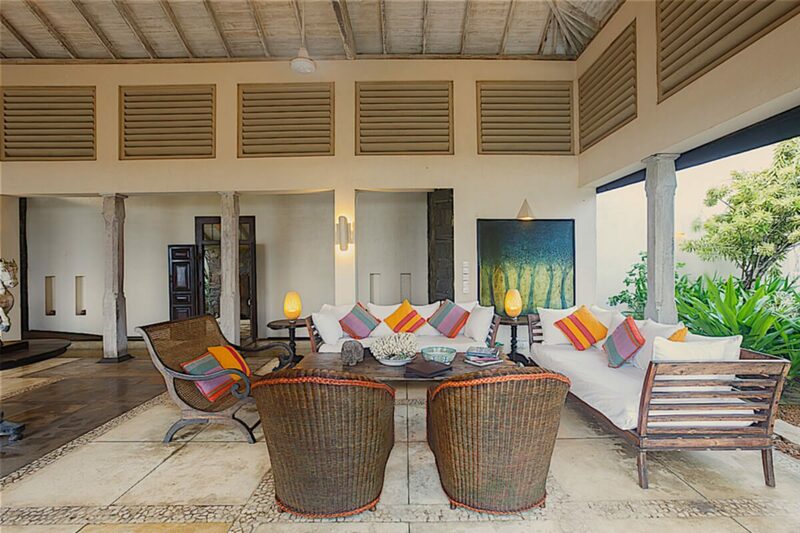 Enjoy ocean views from all of our spacious suites that open onto a lawned terrace. 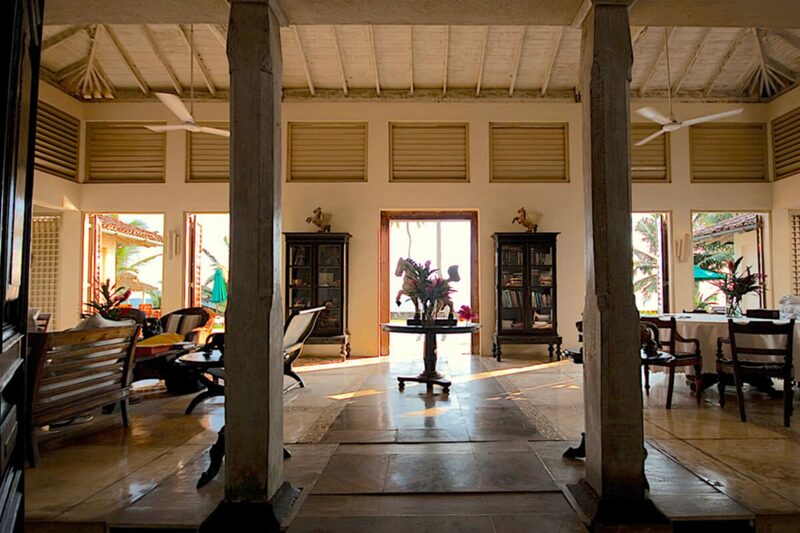 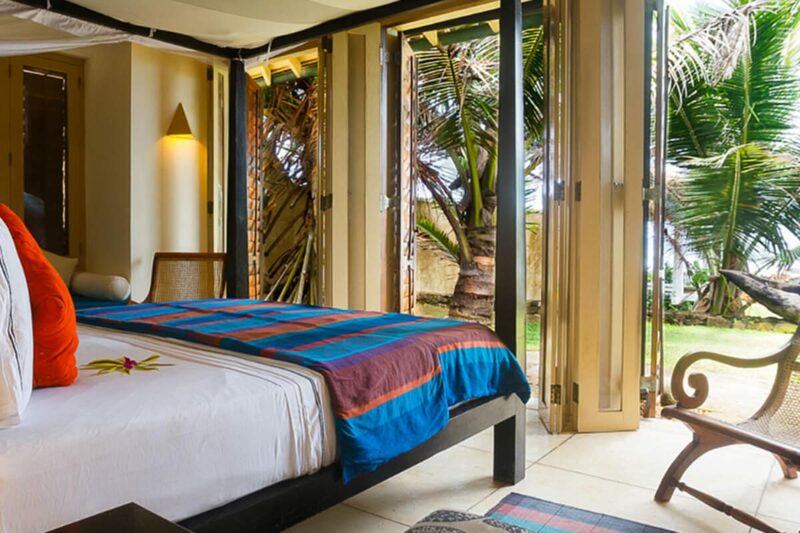 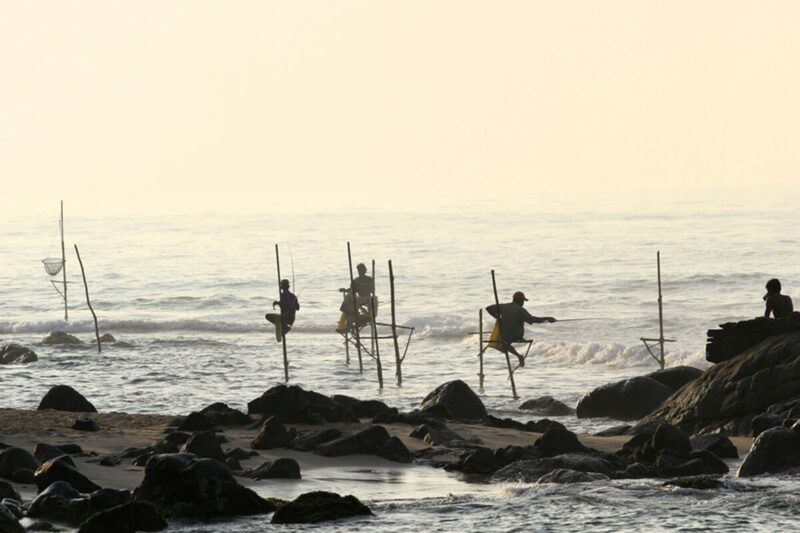 Ambalama Sri Lanka has three king sized bed suites and one twin suite. 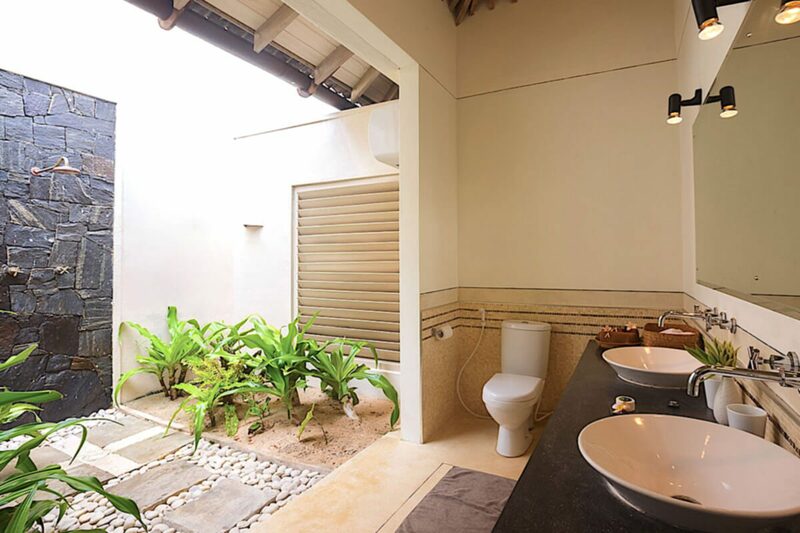 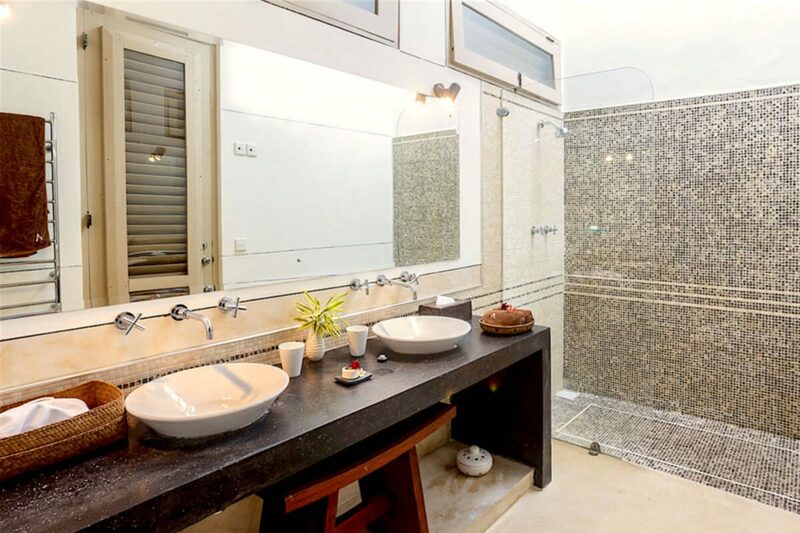 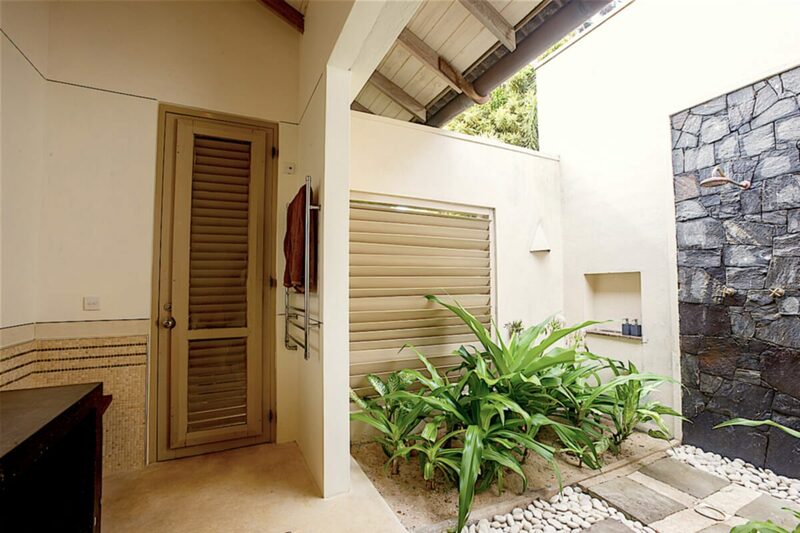 Each room has an en suite bathroom with two of the suites including outside showers — an experience not to be missed. 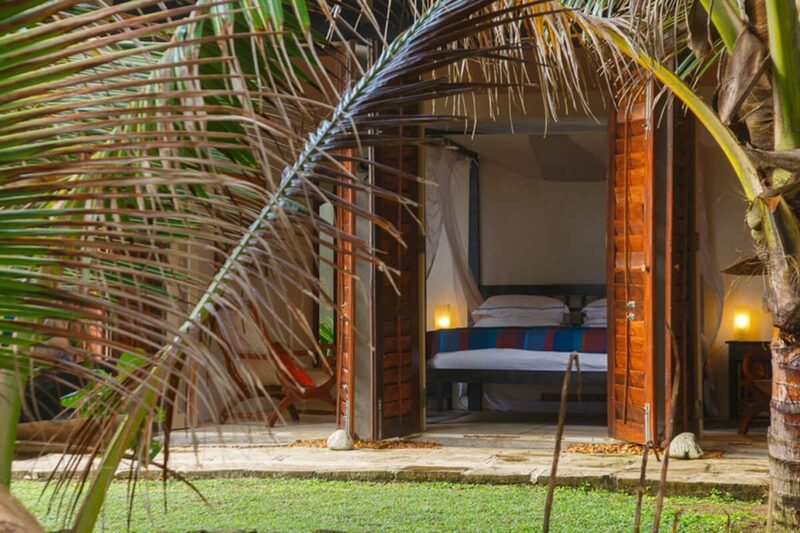 Four poster beds with ultra comfortable mattresses, mosquito netting and fresh linen sheets offer a wonderful night’s sleep. 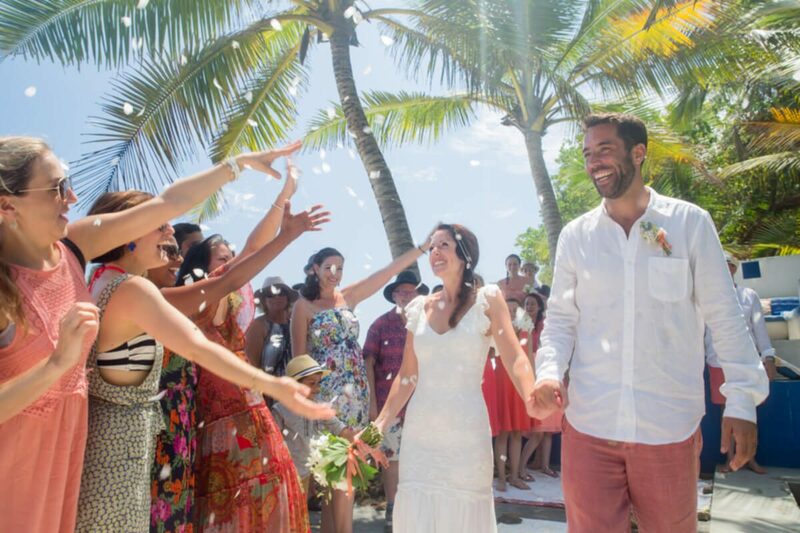 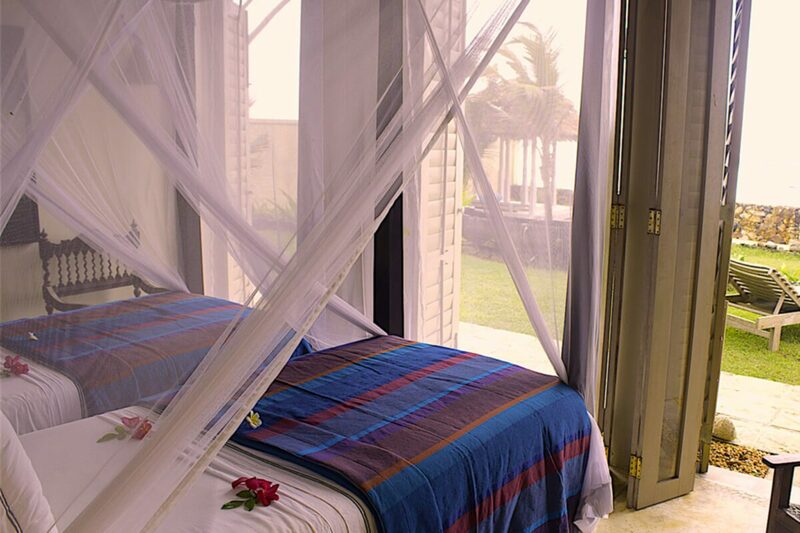 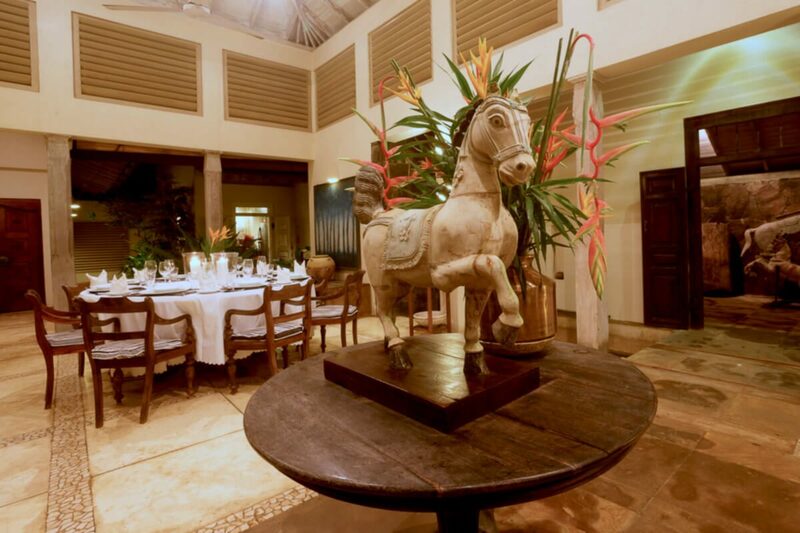 The temperatures at night are comfortable with cooling breezes off the ocean, but all rooms have air con and fans. 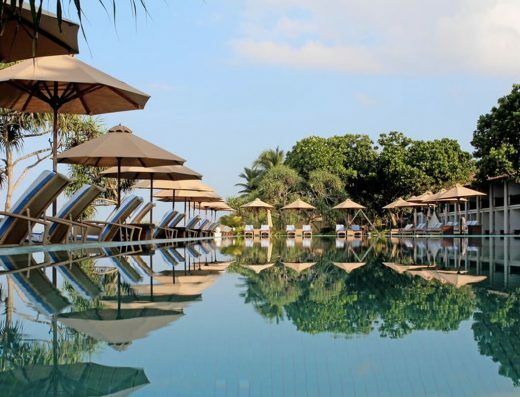 Traveling with children? 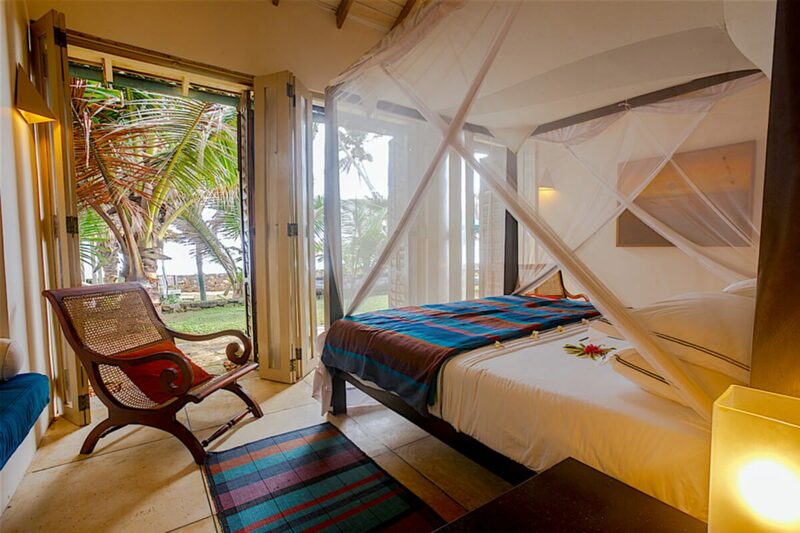 Two of the suites have daybeds suitable for young children to sleep on and cots can also be provided.